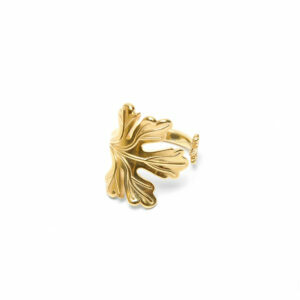 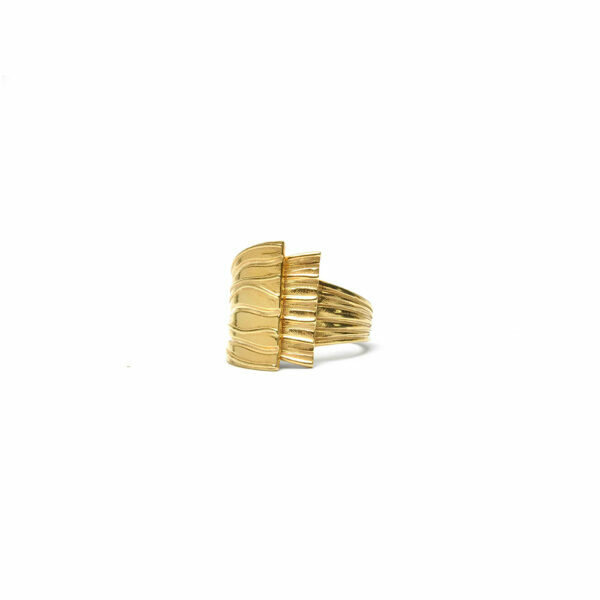 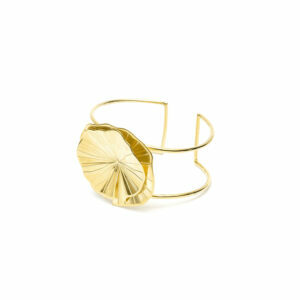 Singular in its simplicity and style, this refined ring is a mark of distinction that will transform any outfit. 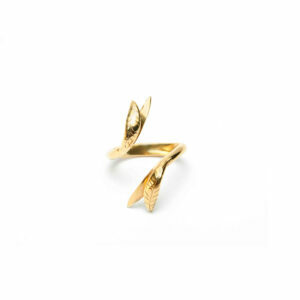 Drawing inspiration from Sol LeWitt’s subtle geometric forms and the dynamic power of sunlight, this ring is composed of two overlapping panels embellished with bold linear carvings reminiscent of sun rays. 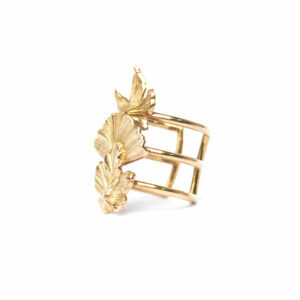 Set on a thick, double band, this handcrafted ring in 24kt gold-plated silver will shine in any occasion.